Police are waiting for surveillance footage to see if anyone can be spotted at the time the boat was untied. One of Secretary of Education Betsy DeVos’ yachts was vandalized over the weekend, according to Ohio police. 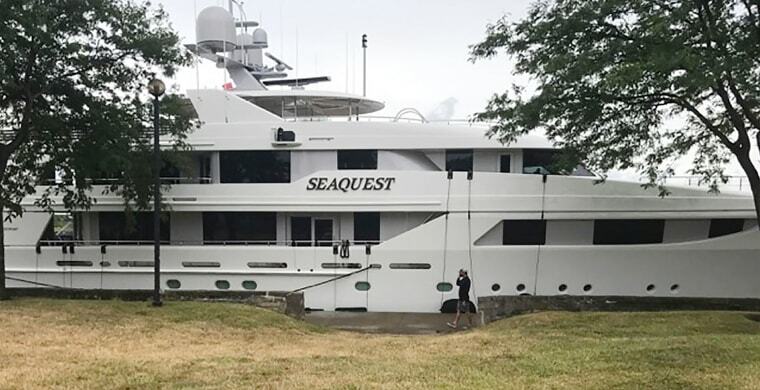 The $40 million, 163-foot boat, which is usually docked at the Huron Boat Basin in Huron, Ohio, was found undocked 6 a.m. Sunday by Captain Quintynn Botha and his crew. Huron police were called and the crew eventually got hold of the boat but Botha told police that the boat suffered as much as $10,000 in damages. Botha also told police that neither he nor his crew had observed anything suspicious the night before. Huron police are waiting for surveillance footage to see if anyone can be spotted at the time the boat was untied. DeVos, who is one of the wealthiest members of President Donald Trump’s cabinet, with her family’s approximate net worth of $5.3 billion, owns nine other luxury boats along with her husband’s billionaire family. It unclear if DeVos was in Ohio at the time of the incident.